Ride Share, Carshare, Taxis, Bikes, We’ve Got You Covered in Downtown Seattle with Migo! There are 41 ways to get around Downtown Seattle, Washington, and 21 of the best ways are available through an app! Choose between 3 carshare, 10 taxi, 4 rideshare, bikeshare, or 4 black car/limo companies. 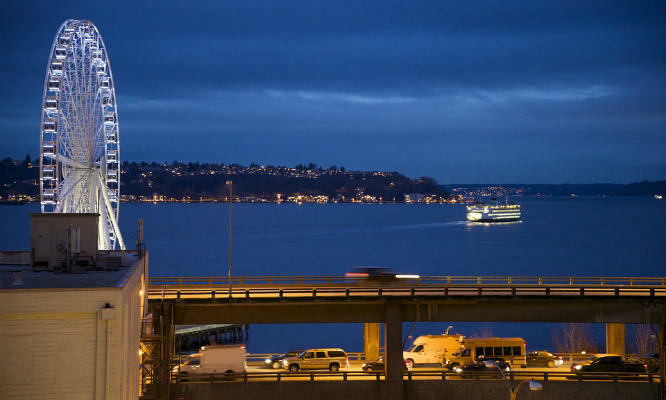 The best 9 ways to get to or from Downtown Seattle are on Migo. Whether you need the closest, cheapest, or fastest ride, Migo has all of them in one app. Scroll down to see all the different transportation apps available on iTunes or GooglePlay. Choose from one of the providers below to help you get around Downtown Seattle today. Forget looking for parking, hail an Uber, hop out at the market and browse the many stores the markets has to offer. Nicknamed 'SAM', the Seattle Art Museum, with a calendar full of changing exhibits, has something for everyone. Read about what's new at Migo in Downtown Seattle.